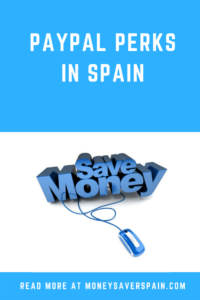 If you’re thinking of creating a PayPal account linked to your bank account in Spain, there are a lot more advantages than just being able to pay online without having a credit card. Many shoppers are put off from buying online as they have to pay for returns if the item doesn’t fit or they’ve simply changed their mind. Get free returns for items bought online and paid for in full via PayPal, including international returns. You need to activate this free service to be able to use it and you can request up to 12 returns per calendar year, with a maximum reimbursement of 30€ each. 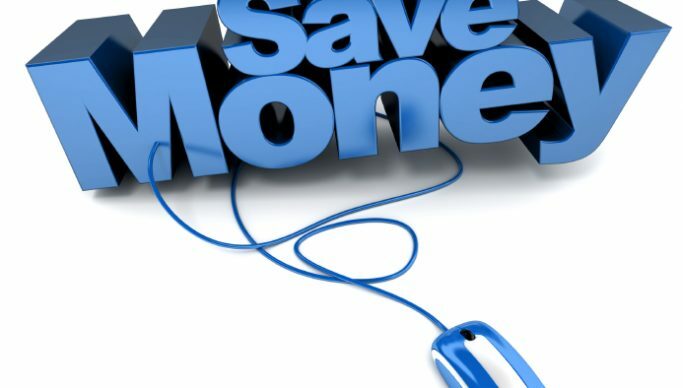 This service can only be used if the seller does not offer free returns. You must use it within the 14 days cooling-off period (distance selling regulations). Tip: Don’t just think of using Correos for returns, courier comparison site PackLink will give you a quote for national or international delivery. Rather than having to input your credit card details on lesser-known (and potentially less secure) websites, paying by PayPal means you keep your credit card details private. This also helps if smaller websites are hacked and client details stolen, as only PayPal has your details. When you order online sometimes things go wrong. You end up with a product that you either never asked for, it’s broken or it’s not what you expected. PayPal’s buyer protection service promises to get your money back including shipping charges. Recently the company has extended this service to cover intangible goods such as digital downloads, accommodation, flights or concert tickets. How does it work? First open a dispute with the seller (you have 180 days from purchase date to do this) via the Resolution Centre. If you don’t get a satisfactory solution you have 20 days from opening the dispute to elevate it to a claim. Once PayPal has taken a decision, if this in your favour you’ll receive your refund. Provided via Europ Assistance, all you need to do is activate the service. When you buy plane or train tickets, hire a car or reserve a hotel pay by PayPal. If you need to cancel, claim to get up to 300€ back. The service is valid for one calendar year, or until your claim for compensation is accepted. Need more cover? Additional policies are available at preferential rates. In order to encourage people to pay online via PayPal, with an account in Spain you’ll receive regular promo emails. Discounts normally range from 10% to 25% for items such as fashion and electronics. They’ve also had promos for bus tickets, restaurant takeaways and online services. Once you have an account, you can set up a PayPal.Me link, just choose a name for your page: PayPal.Me/(YourName). Share the link with friends and family by email or SMS, all they need to do is click on the link and introduce the amount they want to send. You’ll receive the money immediately. The free service only applies for single currency transfers from bank accounts linked to PayPal accounts. If you’re changing currency it may work out more expensive – see our post on currency transfers for cheaper options. As PayPal has so many customers, it’s also one of the biggest targets for scammers. Never click on emails supposedly from PayPal that say that your account has been frozen or blocked asking you to click on a link. Open a new window in your browser and type in the PayPal website and check your details. Check your account regularly. If anyone gains access fraudulently, they will typically start off by taking small amounts and, if nothing is done, they’ll move on to larger amounts.